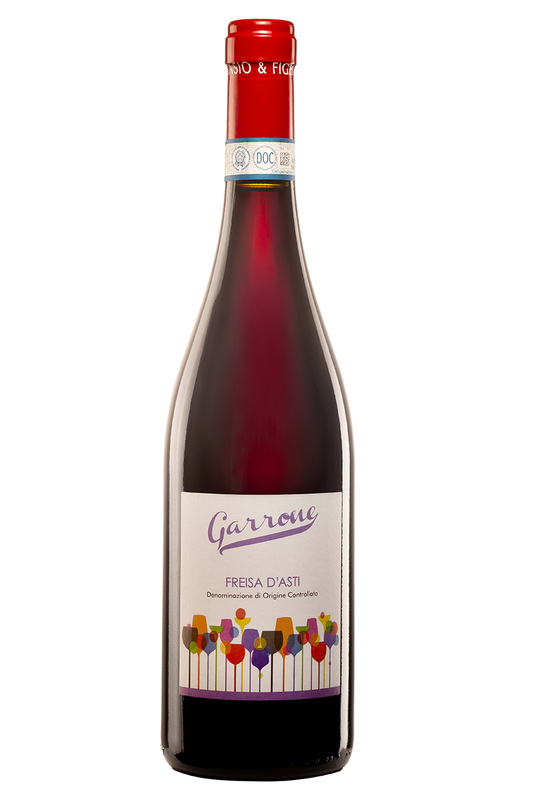 Traditionally in our area, Freisa was grown in the bottom portion of a Barbera vineyard, because it grows very well in conditions unfavourable for other grapes. We respect this tradition and we are very proud of our Freisa d’Asti Doc, that revealed itself as an award-winning wine. Guyot-trained, after the harvest it macerates for six days and is aged in a steel tank. A second fermentation makes a slightly sparkling wine, which matches well with fat-rich dishes, particularly meat. Our Freisa has raspberry, blueberry and cerise scents, with a touch of cloves.